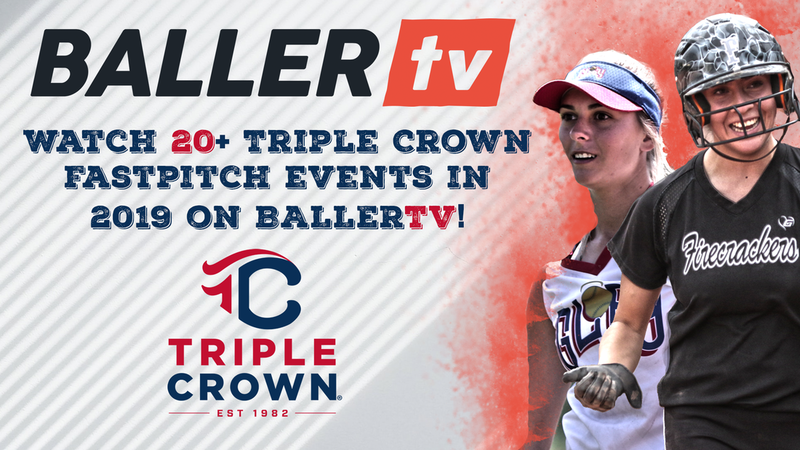 ​The Triple Crown Fastpitch staff divides and conquers all summer long to produce the best of the best youth fastpitch tournaments and national events across the map. The 2018 summer has been no different. Triple Crown traveled south July 19-22 for the Southeast Nationals in Alpharetta, GA and the Southwest Summer Nationals in Austin, TX. Both events were 5-game guarantees with 12u, 14u, 16u and 18u age divisions competing. The Southeast Nationals featured 45 teams from eight different states. Despite a few weather delays, the event was smooth sailing to the end, and a few local Georgia teams stayed hot throughout the weekend and ultimately claimed titles. The solid competition led to three of four age divisions going to the “if” game to decide the champion. The 12u Atlanta Vipers were undefeated up until the championship game, however, they were able to hit the reset button and defeat the Batbusters in the “if” game to win it all. The 14u EC Bullets dropped one game in pool play but had a smooth 4-0 bracket run to become National Champions. 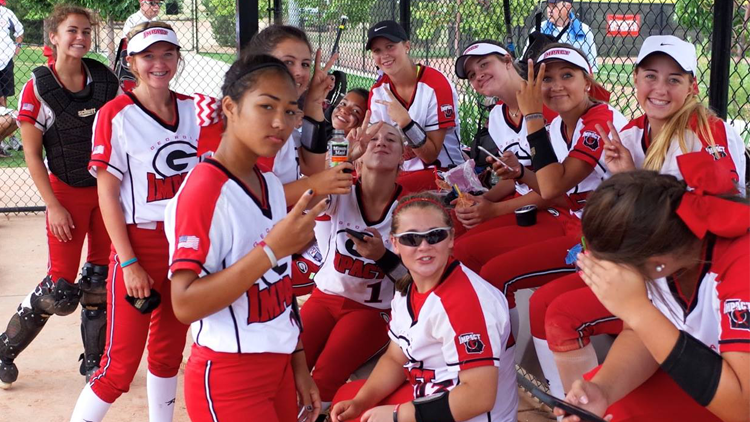 The 16u lineup turned into a battle of the Firecrackers; the GA Firecrackers fell short 5-3 in the semis to the AL Firecrackers, which sent them to an elimination game. GA rose to the occasion and defeated the Monarchs to make it back to the finals against AL. They eventually beat the AL squad twice to be crowned champions. In the 18u division, the Atlanta Vipers and Pinellas Warriors had a similar story. The Warriors gave the Vipers their first bracket play loss on Saturday, sending them to fight through the loser’s bracket. The Vipers won four straight games on Sunday, capped off by topping the previously undefeated Warriors twice in the championship round. The Southwest Summer Nationals completed its fourth year as a top tier event that is anchored by the excitement and energy of Austin, TX – the best food and live music scene in the United States! This year, over 120 teams competed for the Nationals title and enjoyed all that Austin and central Texas has to offer. The 12u Texas Dirt Divas ’05 had a great run, finishing 6-1 on the weekend and even upsetting their elder Texas Dirt Divas ’06, 5-4 in bracket play. In 14u, the Texas Blaze Futures delivered a perfect 7-0 record to earn the crown. After going 1-1-1 in pool play, the Diamond Sports Hotshots Futures lit a spark in bracket play to win the 16u title game in shutout fashion, 8-0. The 18u division featured 33 teams and broke into a silver and gold bracket after pool play. The Firecrackers ELP were undefeated all weekend long and walked away with the gold bracket title after an impressive nine-game winning streak. In the silver bracket, the Texas Glory STX dropped their first bracket play loss in the championship 2-1, but came back in the “if” game to win a nail biter, 1-0 over Texas Premier Gold. The Southeast Nationals and Southwest Summer Nationals were exactly what you hope to see from a “Nationals” event; elite competition and close matchups. Congratulations to all of the 2018 National Champions and thank you for playing your hearts out! “A lot of people think because a team is based out of North Carolina, they won’t be as competitive or talented as a team from Texas or California, where you can play year-round,” Adams added. “From Day 1, that was something John really focused on, being fast … he would preach you have to be just as fast, and there’s no reason you can’t be. He emphasized competing, and in my years we beat a lot of really great teams. It was a lot of fun, and that was something he focused on … not settling." From just about every region of the country, you could hear the shouts of delight when the news hit in August that softball would return to the event menu of the Summer Olympics, starting with Tokyo in 2020. Aside from the entertainment value fans can expect, those deeper in the sport had to be thinking about the potential boost in softball’s profile – when Team USA gets on the world stage, typically more young players pick up a mitt and look to get their hands and uniforms dirty. That certainly was the case back in 1996, when softball made its debut in Atlanta’s Olympics. The late 90’s marked the transition away from slow-pitch in the Midwest, and nobody had a better vantage point than Donny Dreher, currently the 18u coach at Finesse Fastpitch in Michigan. Back then, his Finesse teams were seasoned slowpitch squads that did very well in national competitions and supplied colleges with future stars on a regular basis. So it’s a “Back to the Future” moment for Dreher today; the Olympics will soon be pumping fresh blood into softball, while Dreher and the Finesse continue to attract talented athletes (just like in the slowpitching 1990s) and get them prepared to be factors at the next level. “With softball, I remember when I first was getting into fastpitch, I could take a lawn chair and pull it up to the backstop at the University of Michigan, which was chicken wire, and watch a game. Now, it’s a sold-out stadium with ESPN there, incredible locker rooms – the game has absolutely taken off,” said Dreher, part of the braintrust that has grown Finesse to 20 teams for the upcoming travel-ball season. “I’ve got friends who aren’t even involved with baseball or softball, and they’ll turn on the (Women’s) College World Series and text me, saying this stuff is really fun to watch. While the upper Midwest is not going to field the sheer volume of elite teams in comparison to weather-friendly places in the South and West, the Finesse method is still proving to be effective. Determination to improve and the willingness to seek out difficult games that highlight and shed light on a weakness is simply part of Dreher’s wiring as a coach and competitor. “We are proud. It’s probably our strongest motivation; we want college coaches to look at our area and say, that’s a hotbed. If you look at the Finesse, we feed Michigan a ton of players, and we’re still trying to get the rest of the country to say, yes, we need to look at this area,” Dreher said. “Five or six years ago, Tommie Walker (former player in the Pittsburgh Pirates organization and current president of Finesse) and the rest of us saw that our defense was way behind some of the better places across the country. So we developed the Tommie Walker Fielding Clubs and began teaching more of the advanced forms of defense. We feel like we’ve come a long ways, and still have a ways to go. With all its history, Finesse Fastpitch may sound like it’s always had the attention of athletes and families, but there have been difficult times. The first wave of coaches began to find other interests after the initial wave of teams cycled through, and Walker – who had left coaching to further his education and later plug into information technology – reached out and asked if he could run the show and try to keep it afloat. “When I came back, I found Finesse was getting ready to shut the doors. I said, this is much bigger (in meaning) than when we started, and it does a lot for a lot of kids,” said Walker, who built the Finesse website and general infrastructure, guiding the club back to stability. “To see it just walk away and lose the connection it had – I couldn’t see that. I said, let me take a swing; I played ball myself, so let me take the swing and see if we can get it to work for those kids we have, and for more to come. With Finesse long since recovered from those dark days, the staff is in regular conversation about how to stay vibrant over the long haul. That means looking at possibly damaging trends within the sport – for example, over-training of athletes and the sudden burst of recruiting pressure on 14-year-olds – and doing what is needed to protect athletes and give them heartfelt advice that was gained through experience. And on the scourge of early-teen recruiting? 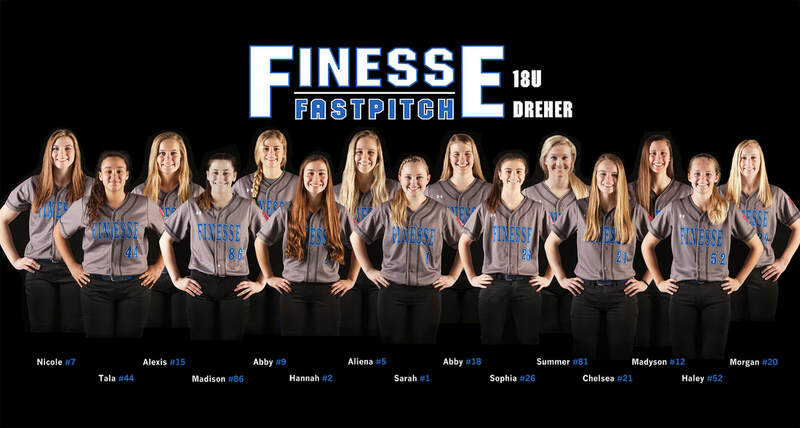 The Finesse program has a ton of successful recruiting stories; one of the best fresh ones involves Nicole Bauer, a pitcher who is headed to Stanford after winning two high school state titles in Michigan and being named first-team all-state three times. The Stanford staff told Bauer they loved the idea of a kid with Midwest grit joining forces on the roster; Bauer is more than appreciative of the doors that were opened by her Finesse experience. Finesse Fastpitch has survived the generational changes in the sport, showing a resourceful side from the start. Founder Denny Schlimgen worked for Helen Curtis (cosmetics) in 1986 and got sponsorship support by tagging the first team with the Finesse shampoo name. Helene Curtis folded in 1996, just about when Finesse switched to fastpitch. Dreher said the club could cash in and add another dozen teams tomorrow if they wanted to, but it’s more important to protect the brand and expand with a cautious eye. Those classic, old-school values aren’t going anywhere soon. The deeper one goes into an athletic career, the more he or she hears the merits of keeping the game fresh, and of retaining the sense of joy for sports we all had as young children. 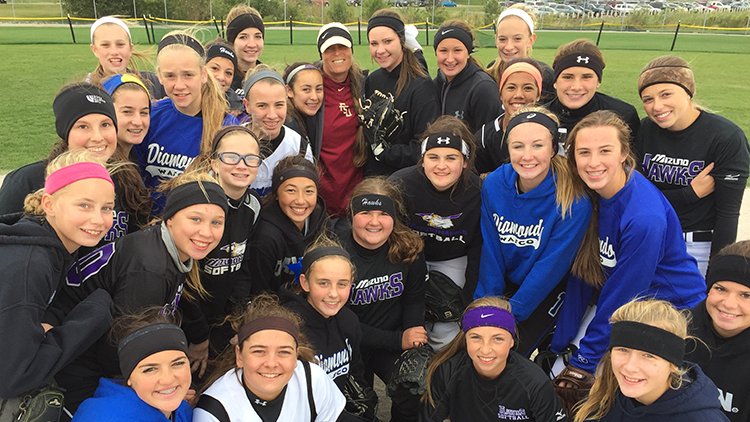 For the Mizuno Hawks fastpitch program out of Chicago, growing more skilled and savvy under pressure is something players logically achieved by starting early. But the resume of success – more than four dozen tournament titles, multiple D-I scholarships in hand, regional respect as a powerhouse and a name appreciated in national circles – draws a lot of momentum from before the girls were teenagers. The game is fresh today because of memories still fresh about the early days on the road. The trail leads back to 2007, when Bill Judge began looking for options as his daughter, Kendal, began to show some athletic promise. Safe to say, he wasn’t too impressed. “I worked in high-end construction and wanted to get my daughter into some sports. I went to some of the softball games and thought, ‘This isn’t right,’” said Judge, a draftee by the Chicago Cubs whose big-league aspirations had ended a decade earlier, when he blew out his shoulder grinding through six tryouts in six days. “Still looking around, I went to an ASA state championship in Chicago and ran into my old semipro baseball coach. He told me about the Homer Hawks (the team’s original name) that were up and coming. While keeping his construction work, Judge immersed himself in clinics and got a swift handle on how to manage personalities as well as sorting out what made sense to apply from his baseball background. Judge had a natural ability to talk hitting, and he saw how well his squad took to the business of getting prepared mentally. Very soon in the process, Judge began to look at the horizon, and that’s not because he liked pretty sunsets. HIs father had placed him on travel baseball teams that took on D-I caliber talent, and the younger Judge figured his team would benefit from the same experiences. The Hawks were already fulfilling their athletic potential, and they liked the idea of being road warriors. The 18u Hawks and the coaching staff will be telling stories about those road trips for decades. Fortunately, the van never rolled off the highway into a ditch; no food poisoning from sketchy diners or ratty food carts at the field. But how the Hawks were received sometimes caused a little indigestion. “We have won many championships with this group, 40-50 in these eight or so years. We have never been given any easy roads,” Judge added. “If you look back at how brackets were set up, the time slots given to us that were sometimes 4-5 hours in between games and all the other things that happen during tournaments, we have always stated to the girls that you have to win this on your own, go out and take it, do not give anyone a chance to take it away from you. Aside from the amusing tales everyone has taken away, the Hawks have received other benefits by playing and staying together from an early age. When practice sessions are intense and the tank feels like it’s about empty, players use each other to find the motivation to press on. If someone’s effort or focus is flagging, the players know each other well enough to police the situation without turning it into a dramatic episode. Judge said the team’s natural chemistry has allowed him to coach much more calmly than he did in the early days. And Cothern appreciates the joy of working with a team that instinctually works together. The Hawks’ coaches feel the crazy state of club softball these days makes it almost impossible for teams to experience the same kind of connection. To hang in there, build a roster and not be tempted to jump ship at the first sign of adversity is a rare thing. With one summer to go, the Hawks 18u team expects a satisfying end to their run. From a modest start, more than 15 players are headed to D-I. The program as a whole has five teams now, and Judge is back on board with the 14s, with daughter Jenna on the field (Kendal will pitch for Minnesota in 2016). He may have been a baseball at the start, but his heart is with softball now. Given enough time, somebody would have figured this out for softball. When the world of medicine throws resources at a problem, treatments are discovered. When you put a string-bean adolescent in a position to get weight-training and diet help, a stronger person emerges on the other side. And when you dedicate funds, training and passion to a youth sports enterprise starving for attention, good teams feed on that and rise to the surface. 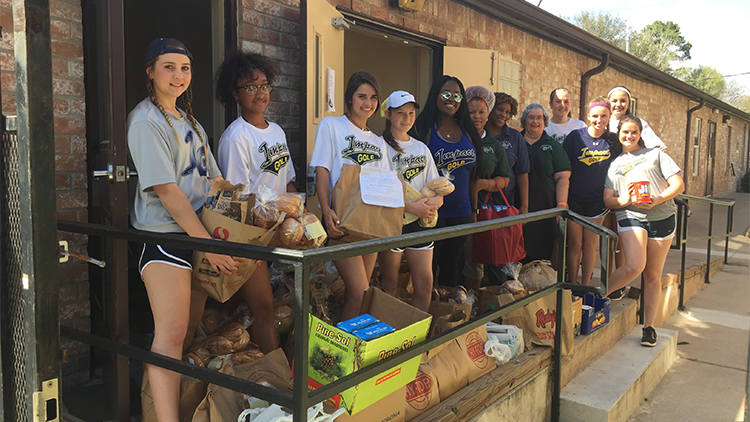 It’s not what Will Tomasello would have predicted had he been asked 20 years ago about giving back to the kids of Georgia. But after seeing the condition of the sport when his daughter started playing in 2001, the Atlanta tax attorney extended his hand to help lift up a hobbled enterprise. In the southern part of the nation, it took until the late 1990s for fastpitch to be added as a high school sport, and at the turn of the century, Tomasello’s Georgia Impact organization was only the third one operating in Atlanta. This had the effect of releasing a pent-up group of motivated athletes onto a fresh canvas, where they could paint their own success stories. 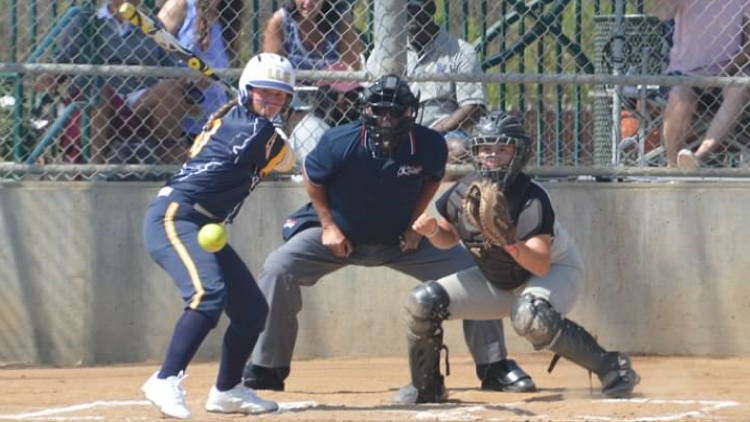 As the years went on, Impact teams began to settle in at the top of the standings in every important event on the fastpitch calendar, while sending more and more athletes to play at the collegiate level. And now at 12 teams, the organization continues to move at full-speed with its mission. One of those coaches is Patrick Lewis, a coach on the powerful 18 Gold team and manager of an equally promising 16u team that was a national runner-up as a 14u program. Growing up, he was in the middle of travel fastpitch, with his dad coaching and his sister playing. Lewis and Tomasello have had a front-row seat to one of the new trends in the sport, that of the early-verbal commitment that sometimes features 14-year-old girls tying themselves to a college program. While on the surface, that kind of security and the implied financial relief of having college sorted out is a positive, there are a lot of unintended consequences that have resulted from a trend that doesn’t appear to be slowing down. “It’s our job to coach these kids up and help them in their journey; parents get caught up thinking we’re there to get their daughter a scholarship, and that we’re responsible for that. It ends up creating a sense of entitlement with parents; it takes away team unity,” Lewis said. “Parents (create) an environment where teammates are competing with teammates. We preach about the importance of being happy for another player’s success, and the early verbal has taken that away. “The game is evolving, but de-evolving with respect to this early verbal phenomenon. That financial burden we were trying to take off the parents is going back on, because they have to make these trips to (showcase) events earlier and earlier,” Tomasello said. “First as eighth graders, then ninth graders, then 10th, and after that, their college coaches want to see them playing against the toughest competition around the country. They don’t have the luxury of waiting until they are juniors, and then making that first trip to Colorado. That still-fresh pool of potential players is not going anywhere, according to the Impact. While the shifting landscape in fastpitch causes Tomasello at Lewis to reflect on just how crazy things have become, they can see the ripple effects of the lives they’ve touched through the sport, just by the stories they hear from players who are now knee-deep into their adulthood. “That’s what keeps us in the game. While there is a professional option, it’s not a commercial place to make a career out of. It’s about getting an education and empowering these girls with opportunity,” added Tomasello. “There’s no greater gift you could give me, to look up and see there are 30 or 40 girls verballed from our club who are going to get top-flight educations from some of the premier universities in the country. That will set them on a trajectory for success.